Crescent Heights Residences, set apart by unique features designed specifically for local markets, are enhanced by services and amenities not found in other projects. Each Crescent Heights Residence is mindfully conceived to celebrate what is unique about the local context, but all share a set of essential unifying elements: artful design and world-class architecture; thoughtful lifestyle and retail programming; and technological optimization of white-glove services and amenities. Strategic collaborations with world-renowned architects and firms including Rafael Viñoly, KPF, ODA, Gensler, Stanley Saitowitz, and Handel Architects have enabled Crescent Heights to redefine the skylines of major American cities. 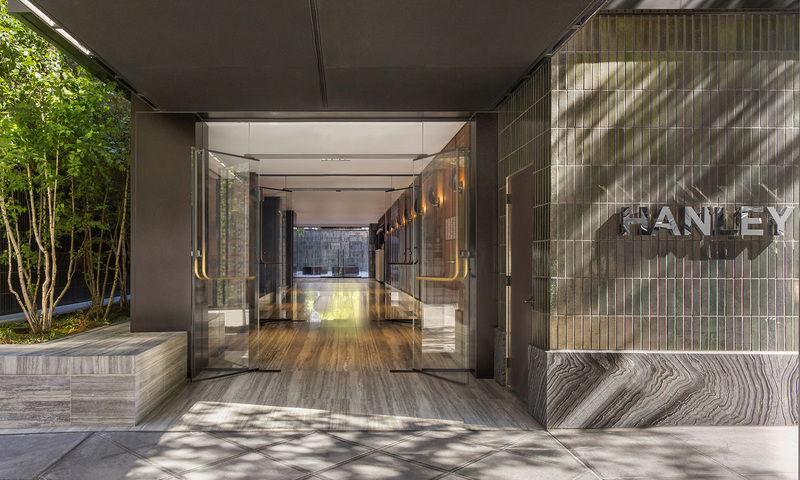 Distinguished designers, including David Rockwell, Shamir Shah, Avroko, and Bonetti/Kozerski Studio, have brought their talent and vision to the interiors of Crescent Heights’ buildings, creating a new standard of excellence in high-rise residential living. Design inspirations have ranged from the materials and textures of the Boston Seaport and the flora and fauna of Northern California, to the Film Noir genre and the modernist Hollywood Hills architecture of Neutra and Schindler. A highly-refined aesthetic sensibility is discernible throughout Crescent Heights’ projects from public art installations to elegantly appointed interiors featuring curated collections by renowned contemporary artists. Crescent Heights projects are distinguished by unprecedented amenities that extend to as much as 75,000 square feet and create an immersive, well-programmed living experience. 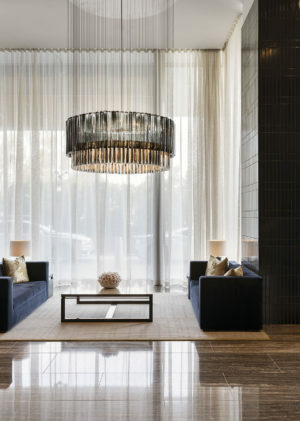 Each building's amenity collection is tailored to reflect lifestyle trends and local interests. 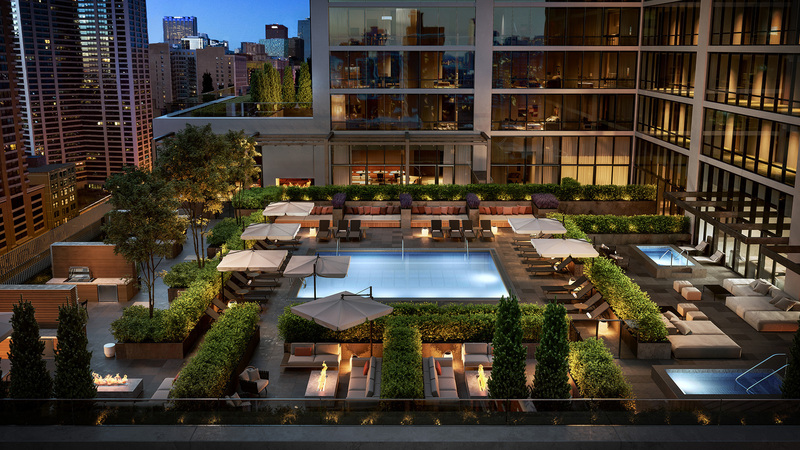 Amenities in various Crescent Heights Residences have included private screening rooms, spa treatment rooms, tennis and basketball courts, private parks, and rooftop terraces. Crescent Heights goes above and beyond what is typical to deliver real value and unexpected perks to residents. Many projects offer pet grooming stations, dog parks, and dog walking services. When residents travel, CH Stays offers exclusive access to guest suites at other Crescent Heights Residences across the United States, while shared workspaces provide fully-wired board rooms, lounges, and business centers, along with other special amenities that optimize co-working opportunities. Crescent Heights Rewards program secures special offers from local brands and service providers exclusively for our residents. Our staff is proud of the level of service that they deliver. All residents and guests enjoy a welcoming experience; they are greeted with a smile and assisted with utmost professionalism and enthusiasm. Meticulously developed lifestyle programming gives residents access to everything they need to fully enjoy life, work, entertainment, and recreation. Crescent Heights Residences often feature an elaborate wellness program aimed at optimizing residents’ physical and mental performance through a variety of services: Reiki healing treatments and massage therapy, tennis and swimming lessons, yoga and reformer Pilates, private training, group fitness classes, and other holistic practices. Resident events are tailored to respond to the character of the local community. Event calendars are filled with various activities including blind tastings and cook-offs in Chicago; goat yoga, wine tours of Napa Valley and ski trips to nearby resorts in San Francisco; and sushi-making classes and Ladurée-catered brunches in Los Angeles, just to name a few. We focus on creating vibrant, dynamic communities that feel like home yet offer powerful networking opportunities and meaningful connections. Crescent Heights Residences enjoy remarkably high resident engagement and retention rates. One of many ways Crescent Heights enhances the residential experience is by carefully curating the retail in our properties based on the benefits and convenience offered to residents. From highly-followed and recognizable names to local start-up concepts and our own brands, retail is always thoughtfully selected to complement the residential experience in a smart and creative way. Innovation and efficiency are integral to the creation of a modern and effortless resident experience. Convenience is evident from the initial touch-point, with digital property tours and paperless leasing saving both resources and time. Crescent Heights has created a proprietary app that maximizes residents’ enjoyment of amenities and allows building staff to predict residents' needs, a concept we have coined "Predictive Service". Functions include texting staff and reserving amenities, adding visitors and paying rent, scheduling housekeeping and butler services, signing up for fitness classes and booking massages. Powered by "beacon" technology, Crescent Heights is able to customize each resident’s experience based on their preferences and habits. Residents have access to individual, private Wi-Fi networks with Gigabit high-speed Internet, the fastest available on the market. Advanced home automation features include keyless, phone-based access to residences and amenity spaces, smart Wi-Fi thermostats with hands-free control, and destination elevators that offer expedited, controlled access to individual floors. Always on the leading edge of technology, Crescent Heights became the first residential developer to deploy a butler-robot (CHARLEY) in an apartment high-rise.